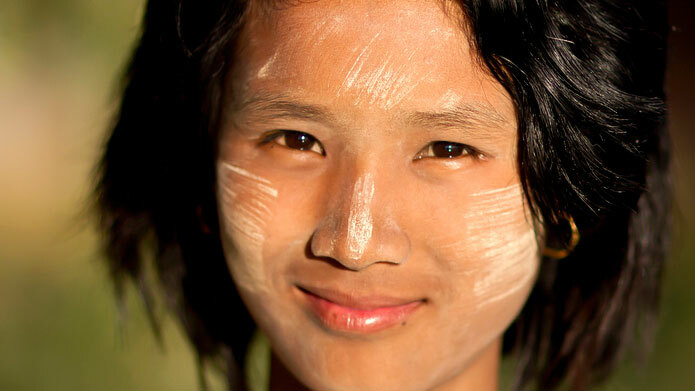 First-time travelers to Myanmar often notice a coating of yellowish white substance on the faces of women, children and even men, then come up with a common question: What is that white stuff and why are they wearing it on? I myself had the same wondering on my last trip to Myanmar back in June, then addressed my concern to my friend – a beautiful Burmese woman with a glowing baby-like skin. 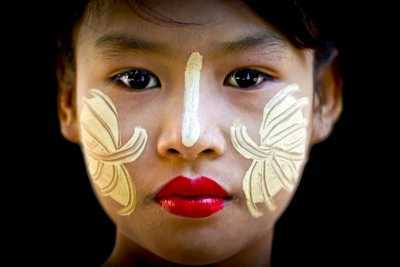 As the story goes, the beauty secret of Myanmar women is revealed. We name that secret “Thanaka”. 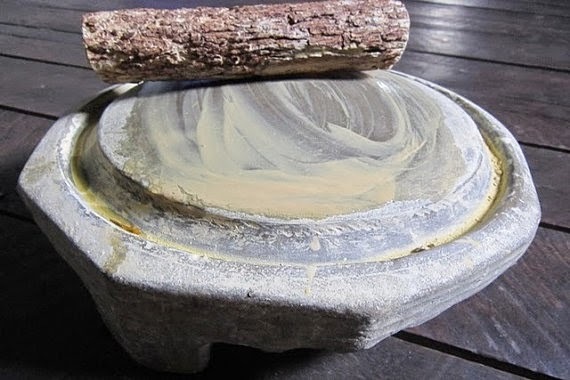 THANAKA – WHAT IS IT? Natural sun protection: Thanaka paste is trusted to be a highly effective sunscreen, protects against sunburn and dehydration. Refining the pores & regulate moisture: Thanaka has properties that can control oiliness by tightens pores and thus prevents pimples. Providing a cooling effect: Thanaka provides the skin with a refreshing feeling after each application. It leaves the skin feeling cool and adds sufficient hydration to make you feel rejuvenated and renewed. 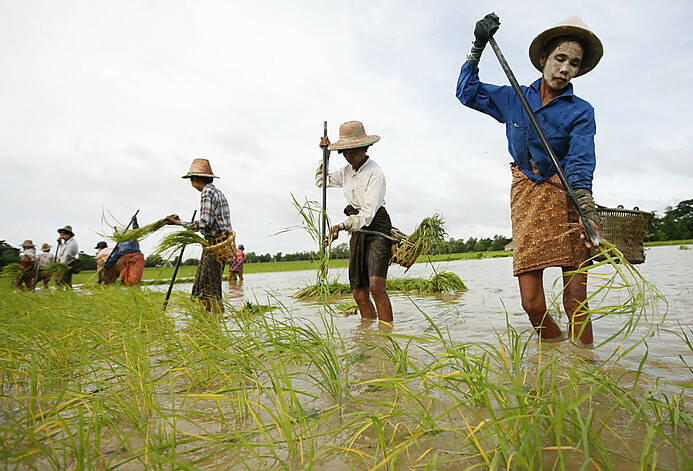 This is the most convincing reason why you can find not only women but Burmese men wearing Thanaka on their faces and arms when they have to work hard under the tropical sun exposure. So, the tradition of applying Thanaka on the faces and arms have been put down from generations to generations among every Myanmar family. Despite the fact that the benefit is wonderful, in modern city, some young Myanmar women have stopped using Thanaka as they think it’s old-fashioned, villager-style while modern make up is much better. This is somehow understandable as the country has just been opened for few years and everything there including infrastructure, lifestyle, business… are changing too fast. Myanmar is such an amazing country to explore with so many unique things to see of which Thanaka is just one factor, I should address an urge to all travelers worldwide to visit Myanmar as soon as they can before the country shakes into a new developing phase! Phnom Penh is known as the capital of Cambodia, which is expected to be the biggest city of the country. However, due to the development of tourism, Siem Reap has become more popular and larger than the capital. The scene along the way from Chau Doc to Phnom Penh will make your trip shotter. 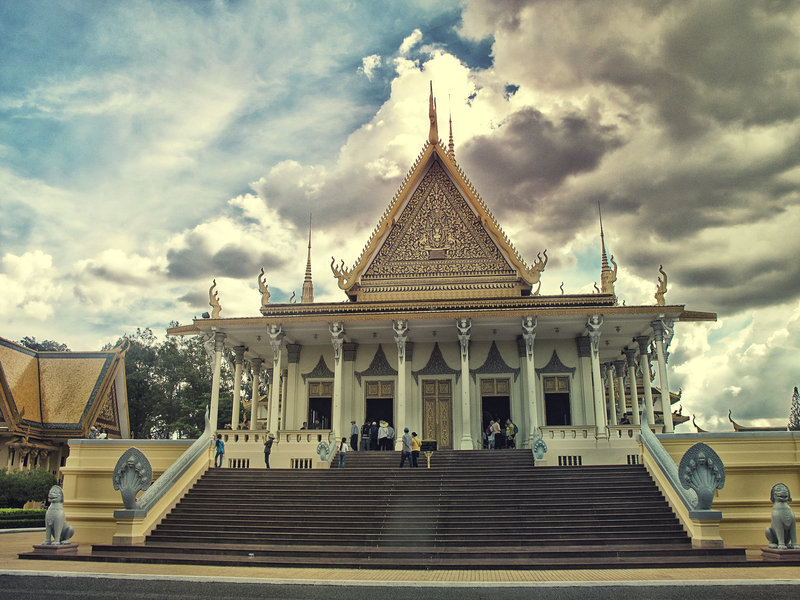 Arrive in Phnom Penh, one of the must-see places is the Royal Palace. Now, this palace is still the king’s home and you are only allowed to visit some buildings in this complex to learn more about royal’s life style and the traditional of Khmer Cultural. 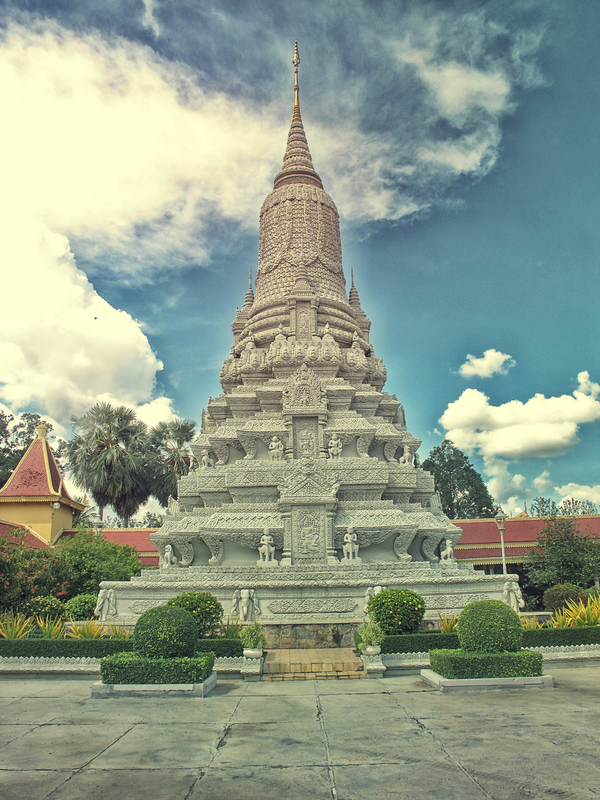 A Stupa – an unique architect of Khmer people which you will see all over in Cambodia. In this complex, there is a famous pagoda – the Silver Pagoda with the floor is made of silver and many decoration is made of gold. With hundreds of gifts from believer from years to years, this pagoda has contained many rare statues made of gold, silver and jewels. Outside Silver Pagoda. In Cambodia, Buddhism is one of the biggest religion. If you are interested in historical and truth, you can make your way to Toul Sleng Prison and the Killing Fields. So much crimes had happened in here and you will feel the pain of the country to remind us how valuable of the peace. At night in Phnom Penh, you can take a walk around the night market to try some local foods like amok or prohok (please note that this market only hold from Friday to Sunday). Or try to gamble at the casino to earn some extra money for your trip. A little note that US dollar is the most popular and acceptable currency in Cambodia so you don’t need to exchange to local currency. 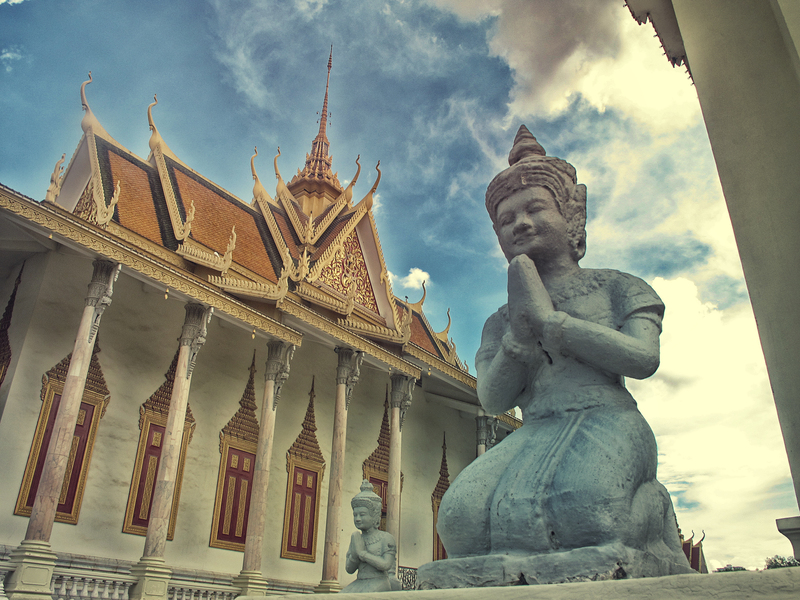 Now, you are ready for Phnom Penh exploring! 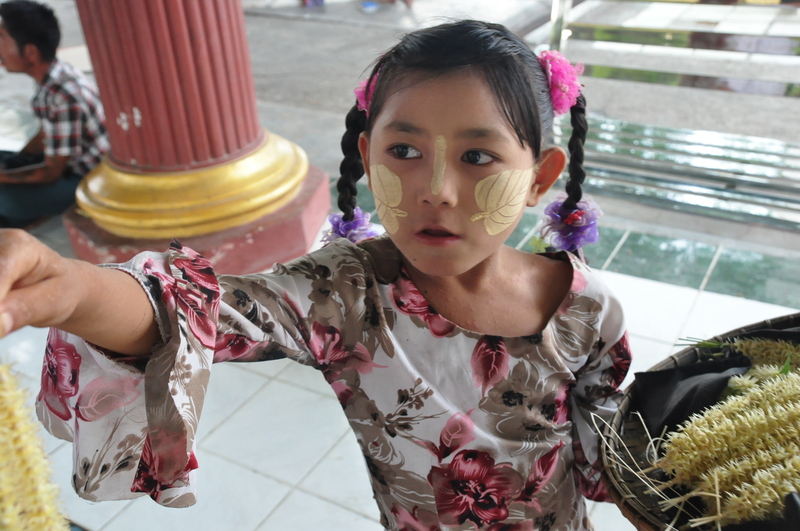 The ritual of alms-giving ceremony is one of the most sacred Buddhist traditions of Laos. At dawn, around 200 Buddhist monks depart from their various temples, barefoot, dressed in their colorful robes oranges, to collect alms in the form of offerings of rice on the part of devotees waiting monks kneeling on the floor. The tradition of alms gathering dates back to the 14th century, yet still today locals wake early to prepare the food for the monks and wait quietly by the roadside to give their gifts. Although the main purpose is for locals to give alms to the monks, you will also notice small children kneeling with baskets in the hope that the monks will share some of their alms with them so that they can take food back to their family. Suitable offerings include some simple food which you can probably arrange at your hotel or buy from a local market en-route (do not buy offerings from street vendors), if you buy alms on the street do not negotiate on price as this is also considered highly disrespectful. Shoulders, chests and legs must be covered in modest clothing as a mark of respect (don’t wear revealing or tight clothes). When seated, shoes and socks must be removed with your feet tucked underneath as you observe the ceremony in absolute silence. Female attendees must keep their head lower than the monks when giving alms and they must not talk to or touch the monks at any time, even when making an offering. Keep a suitable distance from the monks and do not interrupt the procession under any circumstances. Enjoy your time in Luang Prabang. A popular stopover town in Mekong Delta, Chau Doc is a one-night stop for travellers before leaving Vietnam to Cambodia. 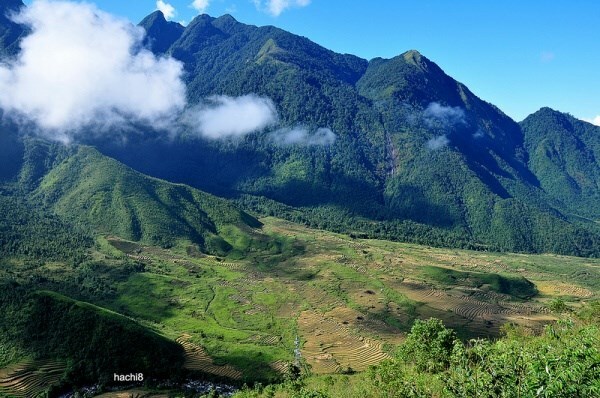 Stay here more than one night, you can visit Sam Mountain, the highest mountain in Mekong Delta (284m). This mountain is a popular place for local people workout. You will see a lot of people walk up and down this mountain to keep fit. There are about 200 temples and shrines in this mountain but on top, there is nothing too special but you will see the whole city with endless green field and it’s worth to climbing up there. The rice field seems never end! 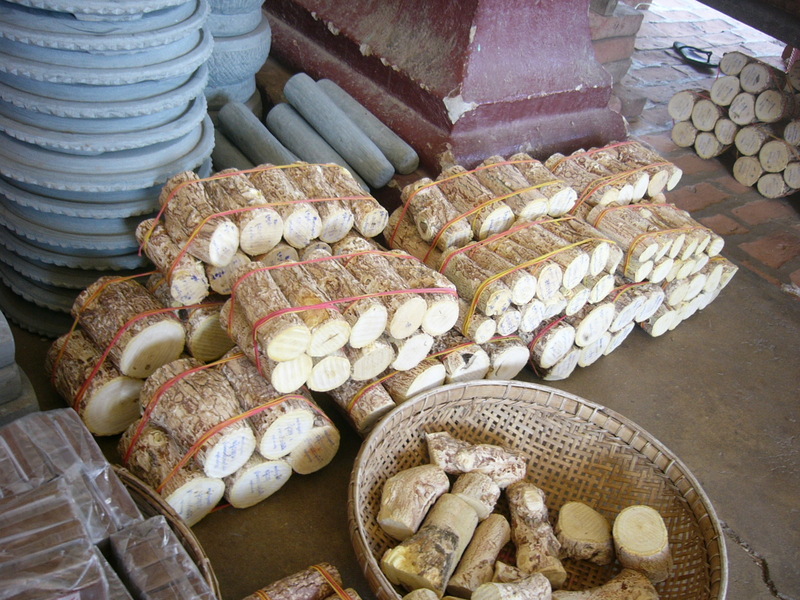 Chau Doc is one of the town has produce the largest crop in Mekong Delta. 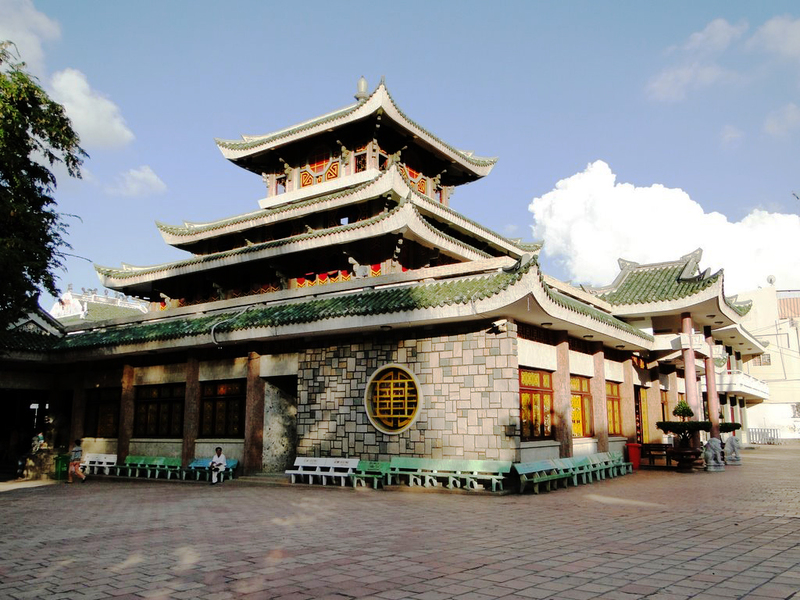 And the most famous temple in Chau Doc is Ba Chua Xu Temple. A festival will be hold annually, last for 7 days from 23rd April to 27th April based on Moon Calendar. Thank to this festival, each year, more than 2 million visitors has come here to join and pray for their family. According to tales, people believe they can ask for anything if they worship enough and remember to pay back when they achieve. Main building of the temple is well maintain thanks to visitor’s payback. 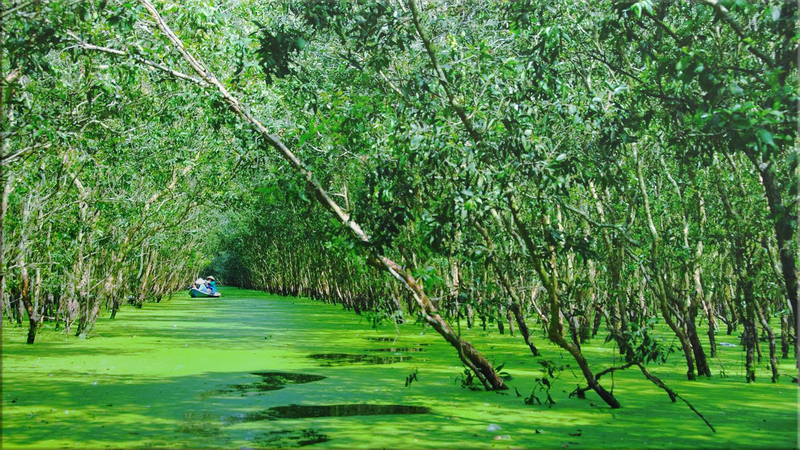 From Chau Doc, there is another place that you might want to see is the Tra Su Mangrove Forrest. A stunning scene with full of green will let you come close to Mother Nature. A green scene to relax your eyes! Before saying goodbye Vietnam, you can stand at the pier and look toward Cambodia and feel the great of Mekong River. A great view from Vietnam to Cambodia! With these little things, I believe Chau Doc is worth for you to stay longer, take it slow and forget the rest of the world for a moment. You can then go from Mu Cang Chai to Sapa about 150km following 32 NR, then about 4 hours moving along 4 NR on the right. 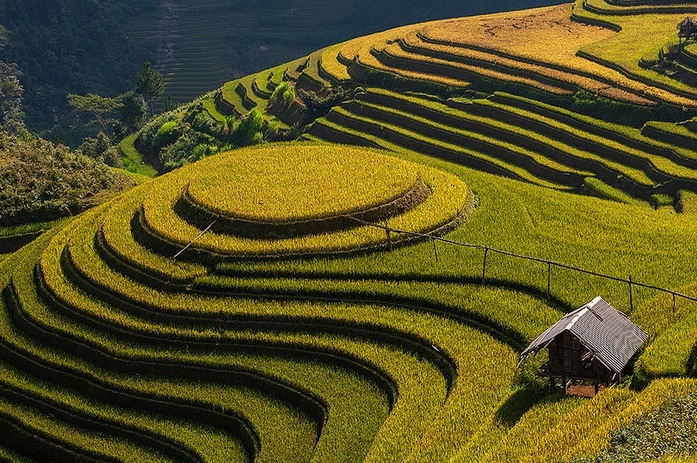 You should visit Mu Cang Chai town in the morning and check out of hotel to leave for Sapa at noon. It is advised to stop for lunch at Than Uyen. 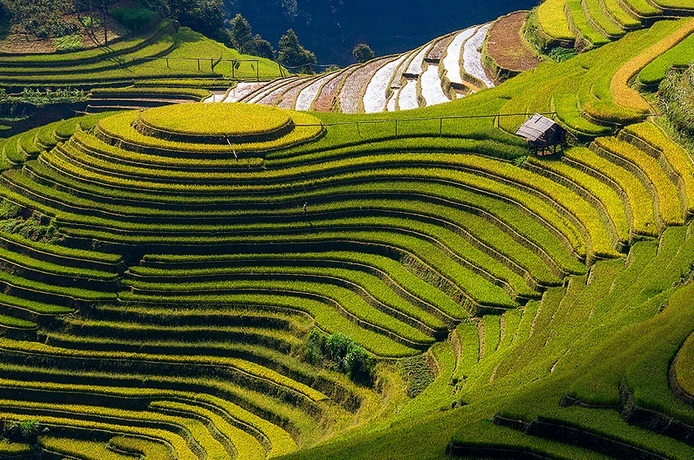 The landscape here is greatly different from Mu Cang Chai, with tea hills along the stretch of road and sparse terraced fields. Stop at O Quy Ho pass right at the entrance to Sapa. On a clear day, the scenery is incredibly beautiful. If you are lucky, you can see “Cloud Passing Through” – an interesting natural phenomenon of Hoang Lien Son park. Admire the sunset in O Quy Ho and then enjoy the third day in miraculous night mist of Sapa together with the grilled specialties and the cold here. 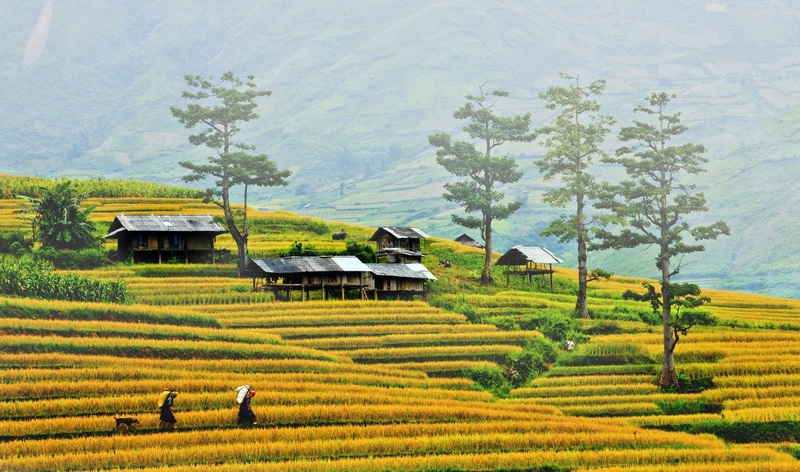 You need at least 2 days discovering and experiencing the life in Sapa and its many features. The first day can be spent exploring Ta Van terraced fields and villages of Mong & Dao people. The next day is for wandering around the town, Sapa market, Ham Rong park, and enjoy panoramic view of Sapa from high above. The sunset in Sapa is spectacular, especially on cloudy days, where you can see the sunset on Hoang Lien Son peak, or go around the town, sit in the church and see the sunlight fade out. You can leave Sapa at night or spend one more night enjoying the cold of Sapa and its many strange dishes (Sapa cuisine) the depart next early morning. The way from Sapa to Hanoi through Lao Cai is about 350km. At this time in mountainous areas the seasons are transitioning so you should bring a coat and a warm blanket. To avoid fog, do not drive your motorbike in the evening. Remember to bring all necessary papers and a motorbike repair kit with spare tube and type. Prepare personal items such as clothes, coat, gloves, helmet, sleeping bag, raincoat, rain boots, upholstery, personal medical supplies. When packing your backpack, arrange items in plastic bags to protect against rain and moisture.